In All Fairness, Officiants Should Be Proposed to Too! 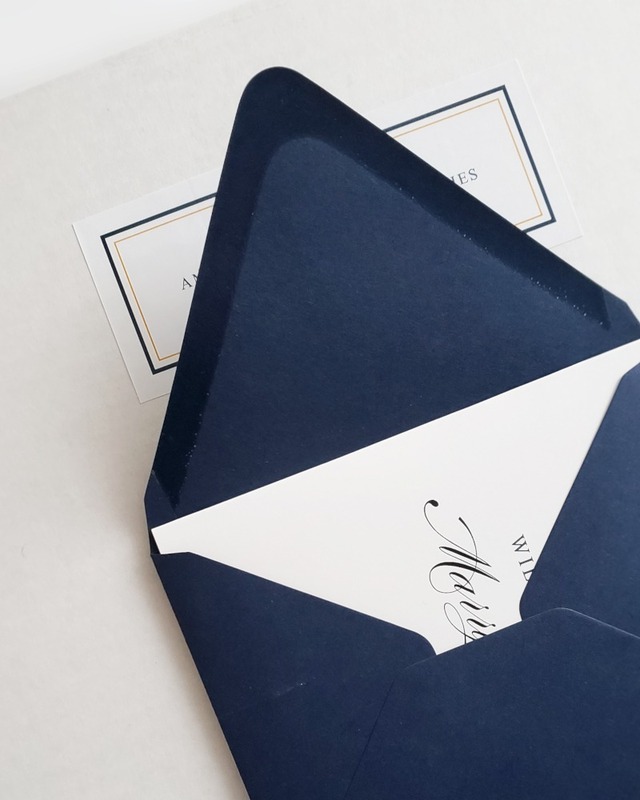 Truly, how many times have you seen brides and grooms going all out to ask their friends and family to be in their wedding? I myself have been ‘proposed’ to three times in the last year/year and a half, and happily accepted the asks of my best friend, sister, and cousin, respectively. There’s close to 70K #bridesmaidproposal pictures on Instagram alone RN. But have you seen much for #officiantproposals? By our last count, there were 13 photos. 13. Now, maybe that’s because asking someone if they’d like to marry you (plural) isn’t exactly light stuff. It’s not a simple question from the couple and it’s definitely not a simple answer from the prospective officiant, so we can understand the privacy and elusiveness of it all. Still, even if the conversation and eventual ‘Will you?... “Yes, of course!”” happens in a more hush-hushed way, being able to show appreciation is still very special and sacred. And while it might not be as whimsy and cute as those “Will you help me tie the knot?” hair tie sets or as festive as a bottle (or bottles) of champagne, bubbly gummies, and the promise of many more nights spent sipping and nibbling before your nuptials, American Marriage Ministries’ “Will You Marry Us” gift package is oh-so-appropriate for couples looking to share the excitement and honor with their officiant. At the end of the day, bridal party proposals are wonderful, highly anticipated, and tremendously appreciated by those who will occupy the aisle with you, but let’s be honest, how many of them are properly practical? Bridesmaid and groomsman-ship is a blessing, for sure, but it can also be emotional, tiring, and downright stress-inducing (especially for someone who hasn’t fulfilled the role before and doesn’t know what to expect). And a bottle of wine, some confetti, and a ‘bride tribe’ tank won’t really help when the bride is bombarding you with questions late at night or having a crisis that you’re just ill-prepared to curb. 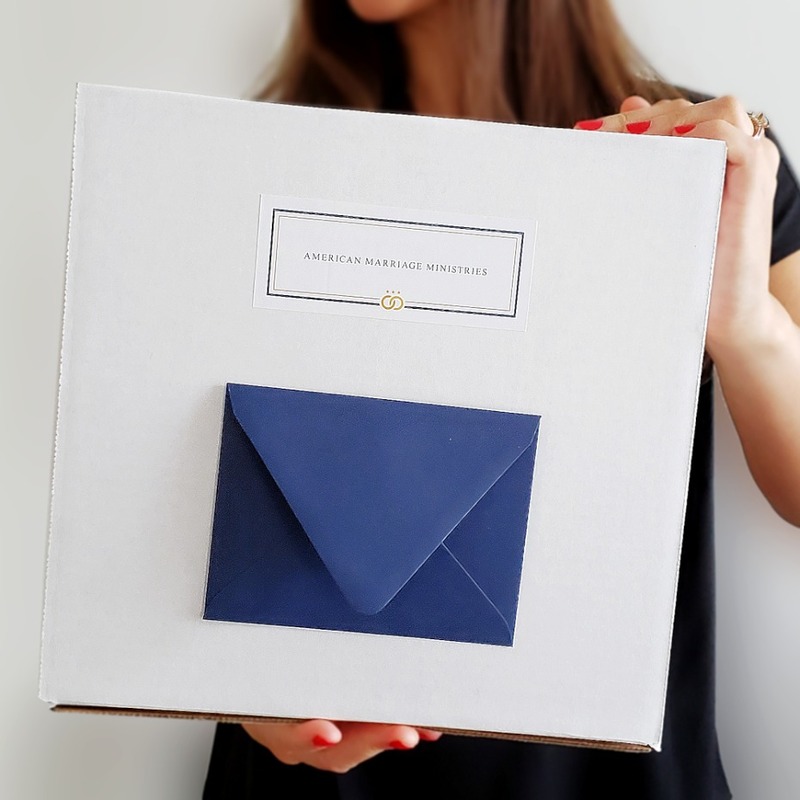 That’s why we love the “Will You Marry Us” package, because it isn’t just filled with sweet sentiments and fluff, it’s real stuff. Priced at just $95, this package includes the most robust ordination available, full credentials and documentation, training and writing tools, and everything else required to create the wedding ceremony of a lifetime. 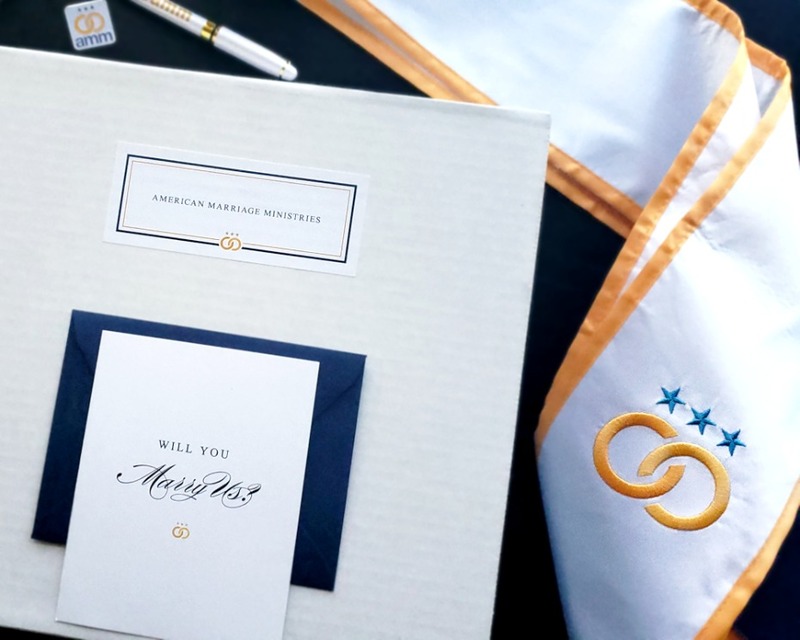 By gifting the “Will You Marry Us,” gift package, couples empower their officiant to deliver a ceremony that people will be talking about for years to come. The couple goes to theamm.org/will-you-marry-us and purchases their “Will You Marry Us” Gift Package, which is shipped to them. Then they give it to their officiant (AMM can also send it directly to the officiant, if that’s easier). The officiant gets ordained online through theamm.org and enters his or her unique code that is included in the package. AMM sends the officiant their ordination documents, along with all required legal forms and instructions. The officiant and couple can then use the tools and instructions included in the “Will You Marry Us” gift package to prepare and deliver a memorable and legal wedding ceremony anywhere in the USA. Have someone in mind who you’d like to marry you? 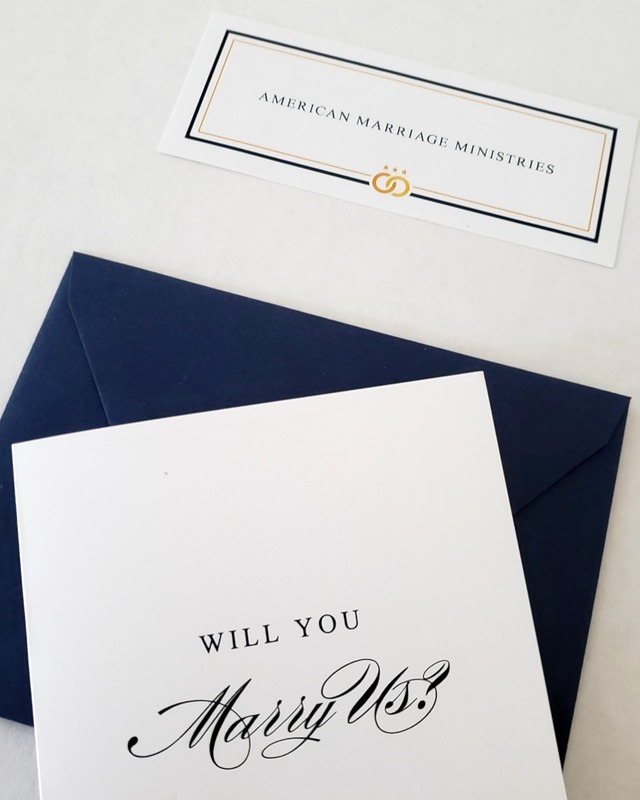 Get them a gift that says “we love each other and we love you, would you do us the honor of imagining our ‘I Dos?’ For more information or to speak with someone at American Marriage Ministries, please call 206-395-9164 or email natasha@theamm.org. 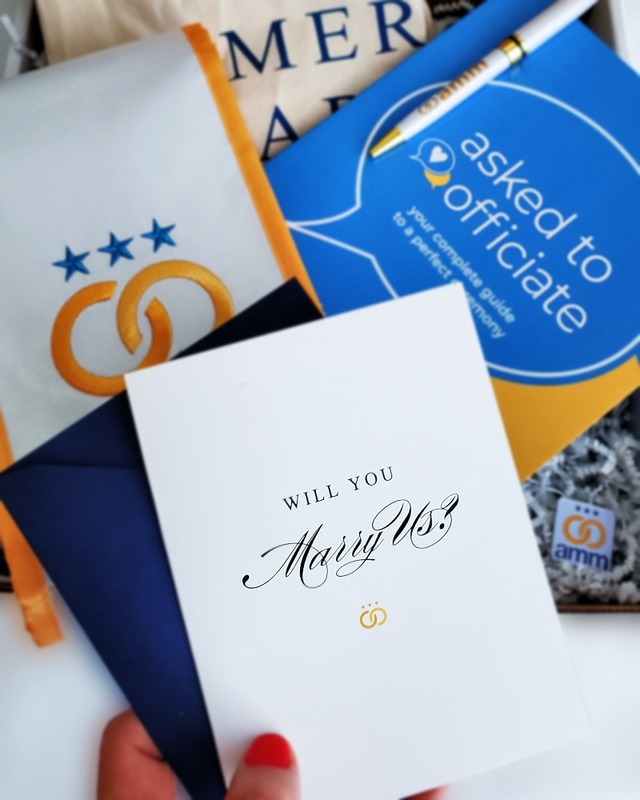 We partnered with American Marriage Ministries to share this fun officiant proposal package. As always, thank you for supporting our sponsors!